Hi..... This is my first article on popular and user-friendly AWS Amazon Web Services and I am sharing my knowledge whatever learning from my experience and study. So kindly requesting you correct me if you found anything wrong in my all AWS articles. Thanks!!! Lets start with AWS articles. 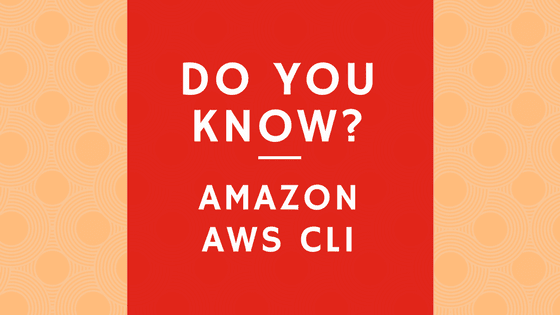 AWS CLI is stands for Amazon Web Services Command Line Interface. It is a command line shell program which provide convenience feature to manage and automate users AWS resources with script. You can use this script many times with parameters. We will see in next article how to install AWS CLI on Windows and Linux or Mac operating system.